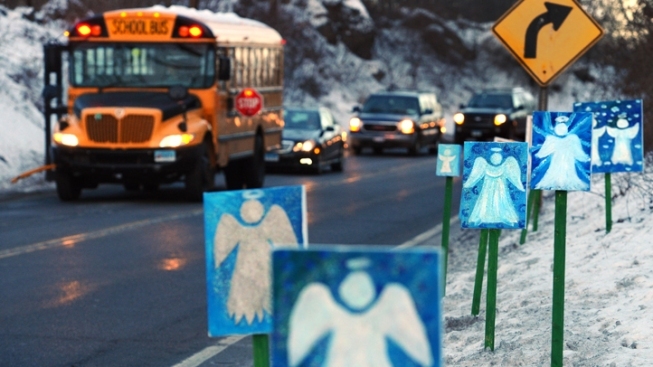 The superintendent of Newtown, Conn., schools is urging an indefinite police presence at the district's schools to allay fears among parents and children about gun violence. The News Times reports that Superintendent Janet Robinson says children have not ventured outside school for recess because of anxiety. The Sandy Hook Elementary School, where 20 first-grade students and six educators were fatally shot by a gunman on Dec. 14, remains closed. Students and staff are using a school in neighboring Monroe. Parent Amy Roman has asked the Police Commission and Board of Education to continue to provide two police officers at each of the district's six schools. Newtown's Police Department is supplemented by officers from other departments. School officials say they've received nearly 300 emails, many of them voicing concern about long-term security and a police presence.